Arriving in NOV, Celebrity Edge is one of the most talked-about and impressive ship arrivals in quite some time. I recall the sense of excitement when Cunard delivered the marvellous Queen Mary 2 in JAN 2004, and also the fantastic, first-in-class Oasis of the Seas by Royal Caribbean with all its bells and whistles when it arrived in 2008. These two ships were major wows and I would describe them as “disruptors” in the most positive sense. I have no doubt that Celebrity Edge will have a similar impact. Cunard as a brand was totally energized by the QM2 arrival, and now it is planning a fourth Queen to arrive in four years. Who would have thought that would occur a mere 12 years ago. Royal Caribbean, under the purview of visionary Richard Fain, has always been an innovative brand and those Oasis and Super Oasis Class vessels have continued to change the face of cruising. The Oasis debut was when a ship actually did become a resort destination. Now we have Celebrity Cruises with a game-changer in the 5-star premium class. And not to deliver cliché after cliché, or a host of puns, (but here goes! ), this ship really will push boundaries to the EDGE. And the ship, in each of the five Celebrity designated brand pillars, is most certainly on the leading EDGE. These brand pillars are accommodation, service, culinary, design and destination. 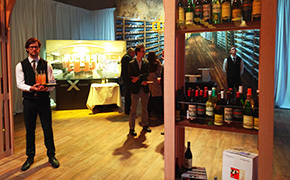 This article is about the recent culinary reveal which I attended in NYC. 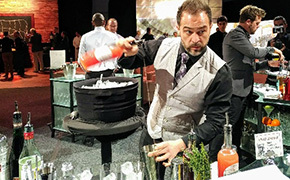 Let’s go beyond the EDGE and I will share that I was amazed at the breadth and scope of the planned offerings in the arena of cuisine and food and beverage. I am not often in this state, so pay attention as to why. 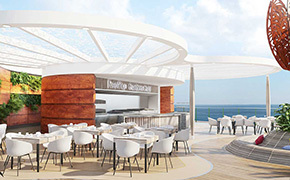 The onboard dining program is guided by Michelin-starred chef Cornelius Gallagher, who has helped create Celebrity’s unique culinary offerings. You have likely read about the 29 dining and palate-pleasing venues – with four main restaurants, seven new specialty dining options, the two exclusive Suite and AquaClass restaurants, plus 11 bars and lounges. This array is spectacular and not just because of the expansive choice but for how Celebrity intends to deliver such a global offering and with five of these venues on a complimentary basis. The cruise line refers to its dining program on the Edge as “transformative” and it appears to be so. 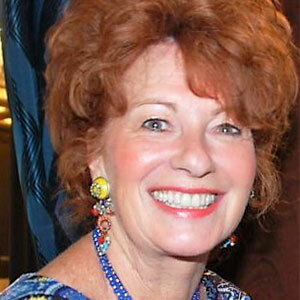 If the event at Pier 36 is anything to go by, you and your clients should prepare to be amazed too. I have not seen anything like this roll-out in my decades of selling cruises. There were company chefs aplenty cooking away and F&B people everywhere showing us the styles, the types of dishes and menus and the complementary décor. Never mind the snappy bartenders twirling and mixing their cocktail shakers as they made us tasty concoctions with all manner of interesting ingredients. A sign of things to come! 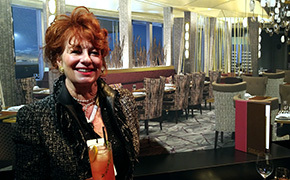 Those four main dining spots – all complimentary -- will offer a different foodie experience ranging from an Italian theme in Tuscan Restaurant, the fabulous French spot Normandie, a nod to Mediterranean cuisine in Cyprus and the Cosmopolitan Restaurant highlighting new American cuisine. The design for each is remarkable and from the food I tasted in NYC, I can assure you the menus are impressive. Together, these main dining rooms offer the largest selection of dishes ever, with regional specialties and wines served to complement the experience. However, it was the seven specialty restaurants offering à la carte menus that caught my eye, imagination and palate. A veritable smorgasbord of eclectic choices will include Raw on 5 Seafood bar serving oysters, sushi and sashimi and all manner of delicacies from the sea. This spot also goes all the way out to the ship’s edge under a glass dome – fantastic. Then there’s The Fine Cut Steakhouse, a Rooftop Garden Grill for casual backyard BBQ plates and another beautiful spot, Le Grand Bistro, which offers breakfast and lunch – think a French boulangerie and patisserie with fresh breads, cheeses and yummy macarons. 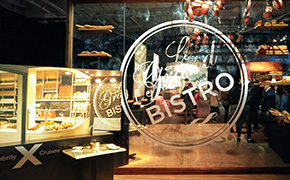 But it’s what happens at night in a section of Le Grand Bistro designated as Le Petit Chef that is truly innovative. It’s an entertainment/dining experience made possible by a collaboration with TableMation Studios. As you sit at the table, lighting dimmed and ceiling projectors ready, an animated 3D character – a French chef, appears on the table and “prepares” the meal, dish by dish before your eyes. It is then delivered to you in reality by the wait staff. This is a unique and adorable experience and one I predict will be very popular. Much has been made of the remarkable Magic Carpet which will rise up from Deck 2 and above the top deck during the day and evening. Richard Fain told me he had recently visited the yard and that he was very impressed with the Magic Carpet and how it looks. He said it was even better than he imagined and moved more smoothly too. So, one of the dining options that I know will be a total sell-out will be Dinner on the Edge for 90 guests – reservations required of course – as it is located off the top deck of the ship and you dine in that amazing space. 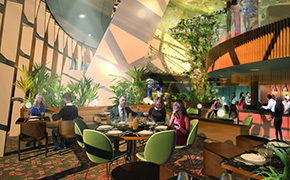 Another interesting area on the ship is going to be Eden Restaurant, set in a virtual ‘Garden of Eden’ featuring a lively, open-air kitchen and, as described by Celebrity “sensory and experiential offerings served by performers known as Edenists.” That’s certainly something different! All the usual favourites from Celebrity are onboard -- The Retreat Lounge and Bar, Café Bacio, Sunset Bar and one of my go-to spots, the fab Martini Bar – an experience in itself. Celebrity will offer guests a choice of Celebrity Traditional Dining – early or late seating and an assignment to one of the main restaurants with the same table, same waiter. However, there is the option to experience the others on request. What I think will be much more popular is what is now named Celebrity Select Dining Plus, which allows guests to dine when and where they choose each evening and make reservations in the four complimentary main dining rooms as they wish. Naturally my expectation is that most guests will also choose to book the specialty restaurants for at least a few nights each cruise. These spaces are just too compelling and I am sure will be sell-outs. Even with prices which can range from $55 to $65 per person, I truly believe these will be more than worth the price. Celebrity will deliver superb global dining options in every respect. Not only will the cuisine be fantastic but the mood, atmosphere, décor and service will just send things over the top. Celebrity Edge is a bold undertaking at a perfect time for the cruise business. I applaud the concept and the imagination behind the ship spearheaded by so many but especially by president Lisa Lutoff-Perlo. This ship has been at least five years in the making and I can barely wait to see and experience it for myself this fall. And I will be dining wherever I can as often as I can. As Celebrity states: “Explore your world without leaving your table.” Yes indeed.